Transition can be rough, especially for kids. It seems that just as soon as a household settles into a comfortable summertime rhythm...BAM!...it's time to start school again. Downshifting to a more structured, intentional schedule can wreak havoc on one's emotional and physical constitution. Tantrums, meltdowns, and bad attitudes are often the byproducts of drastic change. And that's just how we, mommas, respond. Don't even get me started on the kids' reactions! As summer gives way to fall, we all gear up to transition from the NOW to the NEXT. We all hurl headlong into the school year. The beauty of homeschooling, however, provides freedom to transition at our own pace. Although the public school's play is to just rip the band-aid of summer right off, fast and furious, that doesn't have to be our plan of attack. We can start a little softer. We can tiptoe into the shallow end and slowly work our way to the deeper side. 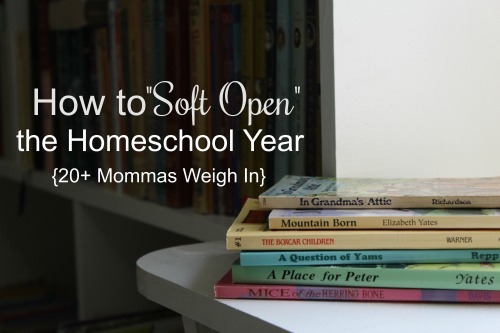 Here are a few quick tips for creating a "soft open" to the homeschool year. 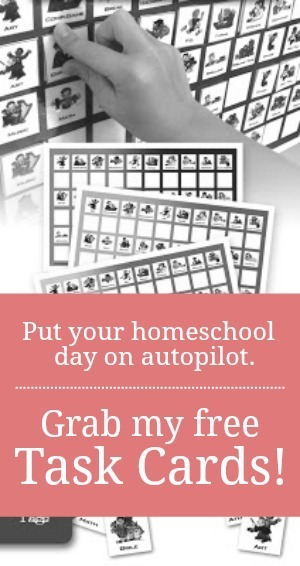 Nothing will derail your homeschool year quite like allowing summertime habits to spill into the fall. In the summertime, kids go to bed later, get up later, and just generally have an eat-sleep-and-be-merry kind of a schedule. While a homeschool day should never be manhandled by a ticking clock, it does go so much smoother with a little more intentional cadence. Begin a few weeks before your planned first day of school and start establishing some good morning habits that you can carry over to the busy school days. Get the kids up 15 minutes earlier every few days until they are getting up at your preferred up-and-at-em time for fall. Also, begin transitioning to a more rigid chore schedule. With the exception of the actual "school" stuff like worksheets and textbooks, begin to walk through the school day enforcing a more organized rhythm. This will help realign your daily schedule, making it easier to just plug learning into it when the time comes. I've never started the school year with a full load of kids and classes. Not ever. In the same way that a juggler tosses one new ball into his act at a time lest he drop the entire armload before he even begins, I always get one grade launched before I add in the next one. I let each of my kids have their own first day of school. I usually start with my youngest kiddo on a Monday. He does his core subjects like math, language, and handwriting, and the rest of the family celebrates him with all the typical fan fair that comes with a special FIRST. And then he gets to take the rest of the week off while I move on to my next-oldest child. By the end of the week, each of my kids has had a chance to be celebrated and I've slowly ramped up to a more difficult school load. The following Monday, we are all a bit more prepared to spin the plates of a full day. Don't expect yourself or your kids to go from 0 to 60 on that first day...or even that first week. Give yourself grace. Plan for it. Require it. Create a first week (or even a first month) schedule that helps you transition into the full school day. Some mommas like to start with only one subject on the first day and then slowly add in another one with each subsequent day. Others like to do half days the first few weeks, leaving the afternoons a bit freer and summer-like. Still, others only focus on the two core subjects, math and language, the first month of school and add in all the rest by month two. No matter how you do it, be sure you let GRACE steer your first week of the new school year. FIRSTS of any kind deserve to be celebrated. FIRSTS are milestones. 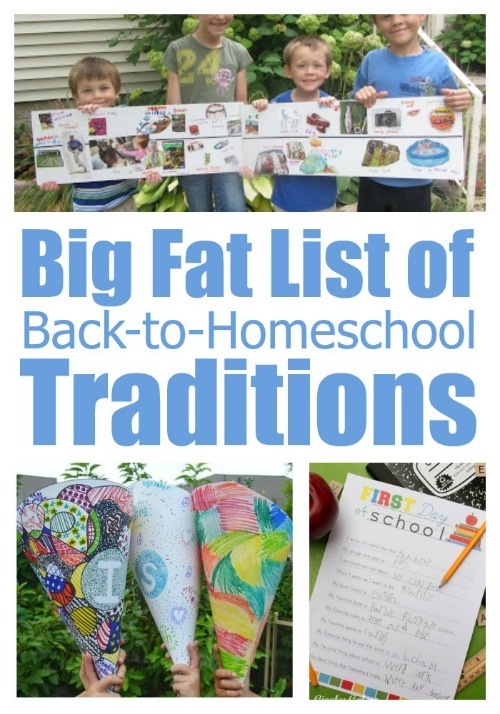 Your kids will only have 12 first days of school under your roof (13 if you count kindergarten), so be sure to make them memorable by planning some fun first-day-of-school traditions. Years from now, they won't remember the worksheets they completed on Day 1, but your kids will probably never forget the scavenger hunts, the celebratory trips to the ice cream shop, and the annual first-day-of-school photos. A "soft open" has always helped me ease into school mode while also allowing me to keep my sanity intact. That's not to say that I've never begged for a first-day do-over. There have been plenty of THOSE kinds of first days. But more often than not, I've been able to transition from summer schedule to school day schedule successfully because I've launched with a soft open. Apparently, I'm not the only one. 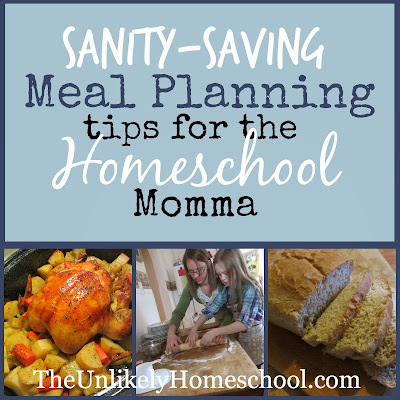 The first few weeks of the homeschool year don't have to be marked by chaos. A "soft open" provides the grace that you need to launch well. To avoid the "Back to school" shenanigans, we do year round school. Six weeks on, one week off. It helps us not burn out, but also gives us not too short a break that we get out of the routine. the first few days of the week off the kids are still getting up, checking their inboxes. By mid week they are "hey I think I will sleep in tomorrow". By Friday they remember school starts back on Monday and they get over it. I've always wanted to try year-round schooling...or really, Sabbath Schooling. But our weather here in the tundra makes it absolutely impossible. We have such a short window of nice weather for playing outside that I just can't bring myself to having school in the summer.